Our glorious sunshine has brought out some of our rarer species in the quarry. 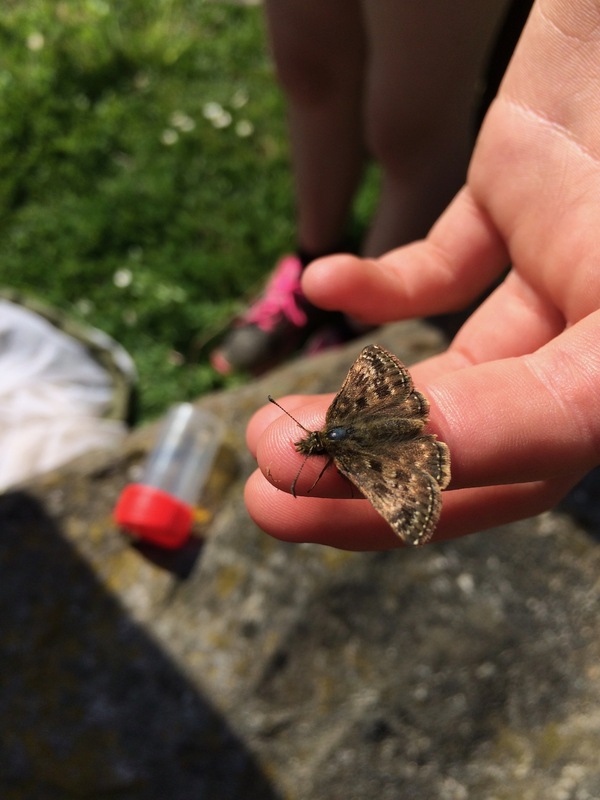 An ecologist last week recorded the Dingy Skipper in several locations in Harehope Quarry. This is a small brown and grey butterfly, which is found in Britain and Ireland and is becoming increasingly rare. It is moth-like in appearance and extremely well camouflaged on the bare ground on which it likes to bask. In sunshine, the Dingy Skipper often basks on bare ground or stones with its wings spread wide. In dull weather and at night, it perches on the tops of dead flowerheads, in a moth-like fashion with its wings curved over the flowerhead in a position not seen in any other British butterfly. It nectars on yellow flowers, particularly Bird’s-foot Trefoil, Horseshoe Vetch, Buttercup and Hawkweeds but shelters in taller plants, such as Bramble. It has a very fast, low, darting flight. The Birdsfoot Trefoil is now almost in full flower in the quarry. The Dingy Skipper is locally distributed throughout Britain and Ireland, but has declined seriously in recent years. It is UK Biodiversity Action Plan priority species.